I’m so glad you stopped by, welcome to my little corner on the Internet! 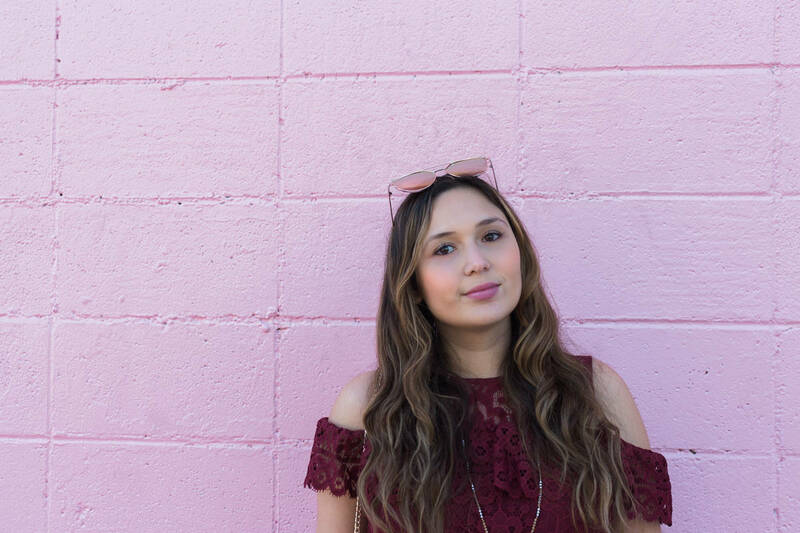 My name is Celeste and I’m a twenty-something Mexican gal and marketing professional living in Sydney, Australia. Whenever I’m not working on my blog, you can usually find me taking photos wherever I go, cuddling with Papoy and Zoey (our furry schnauzer and Mini Aussie), or planning our next adventure with my hubby. So here I am, showing myself that I can do it and starting this blog as a creative outlet (I know, groundbreaking!) where I can let my ideas flow and share my experiences with all of you. My goal is to encourage women like you, to embrace life to its fullest by experiencing new styles, discovering new places, and motivating them to pursue their dreams. Here you will find tidbits of my life and everything that inspires me, including fashion, beauty, travel, sales (yes, please! ), motivation and all things pretty. I truly believe that fashion is a form of self-expression, and that style is not about being trendy, but finding what works for you. Whether it’s in an upscale department store, flea market or local boutique, there’s something for everyone! and I’m all about mixing high and low fashion to create outfits I love. So grab a cup of coffee, a glass of sweet tea or wine (no judging!) and take a look around. I would really like to connect with you and get to know you better! If you like what you see, please subscribe to my e-mail list and leave a comment or two! You can also follow me along on Social Media, I will be happy to see your beautiful faces there as well!